Old Crow Medicine Show: Something Borrowed The Nashville band discusses its new album, Carry Me Back, and explains how its 2004 hit "Wagon Wheel" arose from an unfinished song sketch by Bob Dylan. 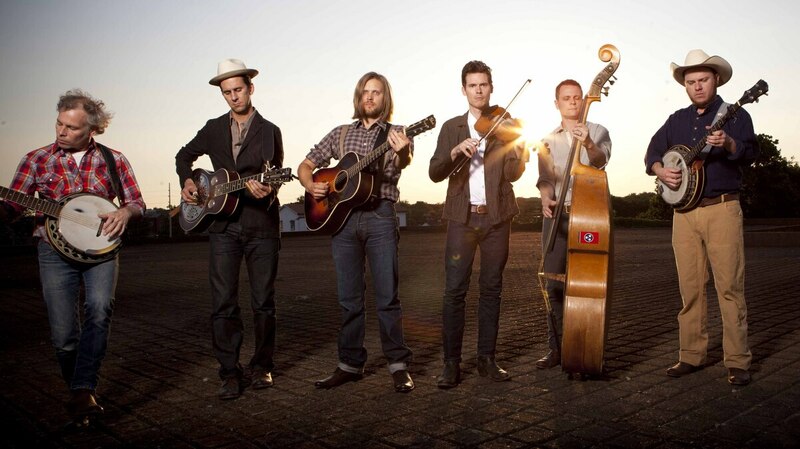 Old Crow Medicine Show's new album, Carry Me Back, comes out July 17. Old Crow Medicine Show didn't count on the runaway success of its 2004 song "Wagon Wheel." In fact, say members Ketch Secor and Critter Fuqua, the Nashville band was just trying to finish a job Bob Dylan had started. "It's a song that Bob didn't finish, for a movie that was called Pat Garrett and Billy the Kid that came out in the early 1970s," Secor says. "Critter actually sent it to me. Remember that bootleg you sent me when you got back from England?" "Yeah, I had gone on a family vacation. My dad decided to take us to Paris and London," Fuqua says. "I went to the Virgin Megastore and got this Bob Dylan bootleg, like four CDs, and took it back. It was like gold, 'cause Ketch and I were so obsessed with Bob Dylan." The two friends grew especially enamored of one track, an unfinished sketch that had been labeled "Rock Me Mama." "You couldn't understand the verses, but you could understand the chorus," says Fuqua. "So we stole it." Old Crow Medicine Show eventually signed a co-writing agreemeent with Dylan. Its version, released on the album O.C.M.S. and featuring new verses alongside Dylan's original chorus, became a gold-selling single and won the band a heap of new fans. One of those fans was Leevi Barnard, a U.S. Army lieutenant who died in the Iraq War in 2009 — and whose life became the inspiration for a brand-new song, "Levi." Click the audio link to hear that story and others about the making of Old Crow Medicine Show's new album, Carry Me Back.